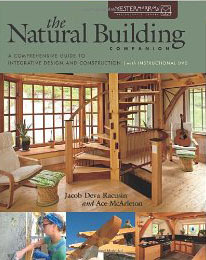 "Natural building" is an umbrella term than connotes any sort of building that is accomplished with the use of natural materials primarily, as opposed to the use of man-made or industrial materials. There is, of course, a blurring of this distinction when any specific material or building technique is examined, because the influence of technology is all-pervasive in today's world. Still, it is worthwhile to focus on those ways of building that minimize the use of products that require considerable embodied energy for their manufacture or transportation. The objective is to build with simple techniques that don't further pollute the environment, consume more fossil fuel, or unnecessarily extract the resources of Mother Earth. Such techniques, by their very nature, have an aesthetic value that tends to blend in with the environment and "feel" natural. The categories listed on the navigation bar on the left represent some of the materials and building concepts that I am familiar with. The list does not necessarily represent everything that might appropriately belong there. Please contact me if you know of some way of building that you think should be included here. 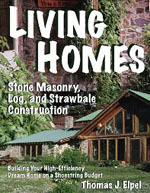 Natural Builders Northeast has a lot of general information about many aspects of natural building that focuses on the Northeastern United States. lowimpact.org the Low-Impact Linging Initiative in England provides information and courses related to natural building. 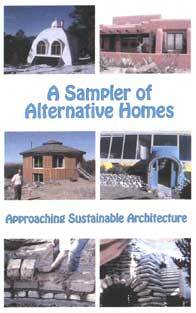 housealive.org specializes in workshops on Natural Building, Design and Appropriate Technology. 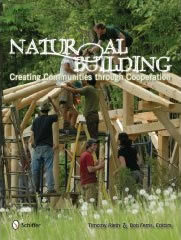 networkearth.org home of The Art of Natural Building, The Last Straw Journal, The Straw Bale Solution, etc. 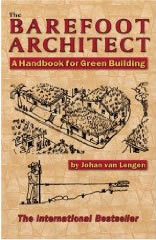 dirtcheapbuilder.comsource for books and videos about natural building. foxmaple.com Fox Maple School of Traditional Building's Joiners' Quarterly. 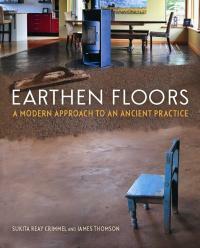 Chapter One of the book Eco Pioneers: Practical Visionaries Solving Today's Environmental Problems By Steve Lerner; Pliny Fisk III: The Search for Low-Impact Building Materials and Techniques. 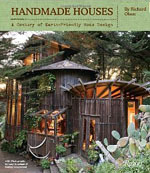 distantplanet.net features two video segments of "The Natural House", one is about an interesting hybrid zero net energy house in Oregon and the other is about a company providing natural paints. 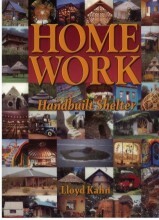 tcpermaculture.com An Overview of Alternative Housing Designs: Part 1 covers Adobe, Earthbag, SuperAdobe, and Cob Homes; Part 2 covers Straw-Bale, Earthship, Earth-Sheltered, and Cordwood Homes; Part 3 covers Geodesic Domes, Wood Pallet Homes, Shipping Container Homes, Yurts, and Hexayurts. 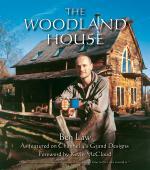 earthenhand.com answers the question "Why build with earth?" coopamerica.org a directory of green services and products. 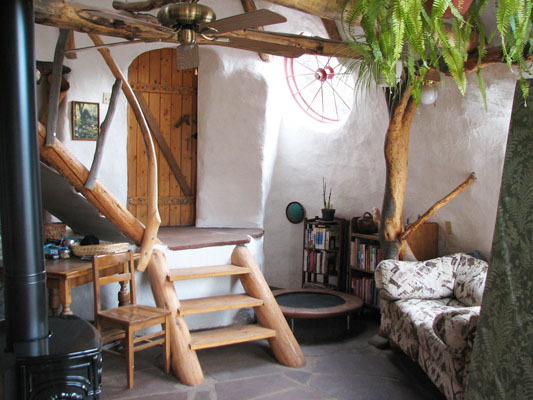 gernotminke.de this is a wonderful gallery of the innovative earth architecture of the German professor Gernot Minke. simondale.net a lovely example of using local natural materials to build a comfortable and beautiful home. 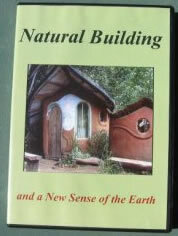 sunraykelley.com features the artful natural building of visionary/builder Sunray Kelley. 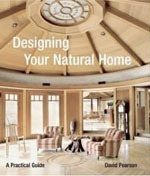 facebook.com This Facebook page features many folks who discuss and provide examples of wonderful natural home concepts. 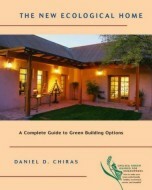 greenbuilder/discussion lists several green building discussion groups. 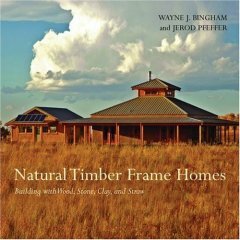 permies.com has an extensive forum about natural building. 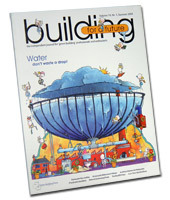 buildearth.org a family of forums dedicated to natural building and ecological design, with selected original content from the print version The Last Straw Journal.